Size of this preview: 515 × 599 pixels. Other resolutions: 206 × 240 pixels | 412 × 480 pixels | 516 × 600 pixels | 660 × 768 pixels | 880 × 1,024 pixels | 2,722 × 3,167 pixels. English: Cycle between autotrophs and heterotrophs. 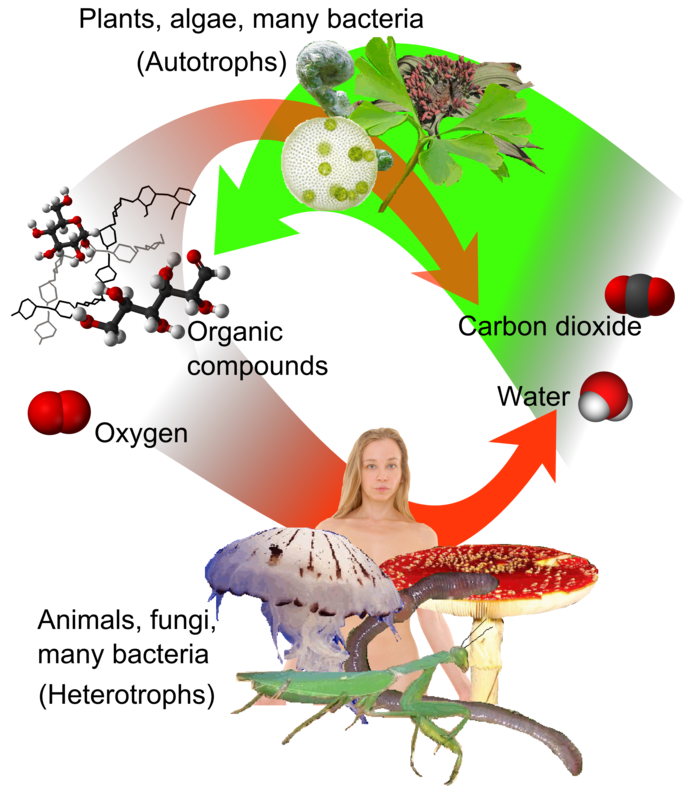 Autotrophs can use carbon dioxide (CO2) and water to form oxygen and complex organic compounds, mainly through the process of photosynthesis. All organisms can use such compounds to again form CO2 and water through cellular respiration. File:Auto-and heterotrophs.svg is a vector version of this file. It should be used in place of this raster image when not inferior.